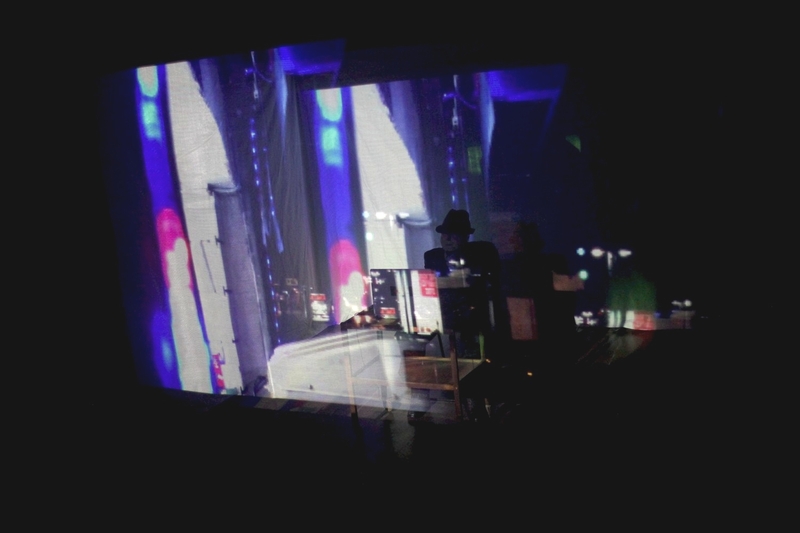 A man size crash test dummy doll took the place of the performer. 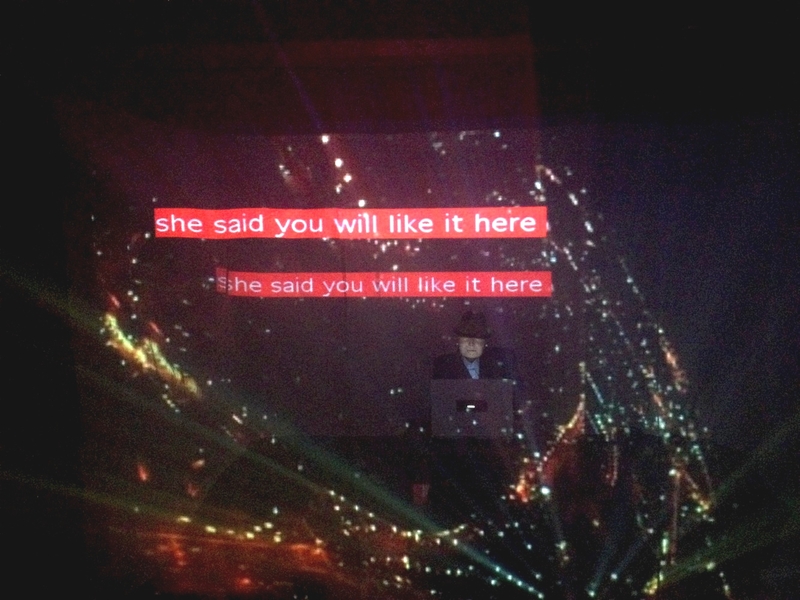 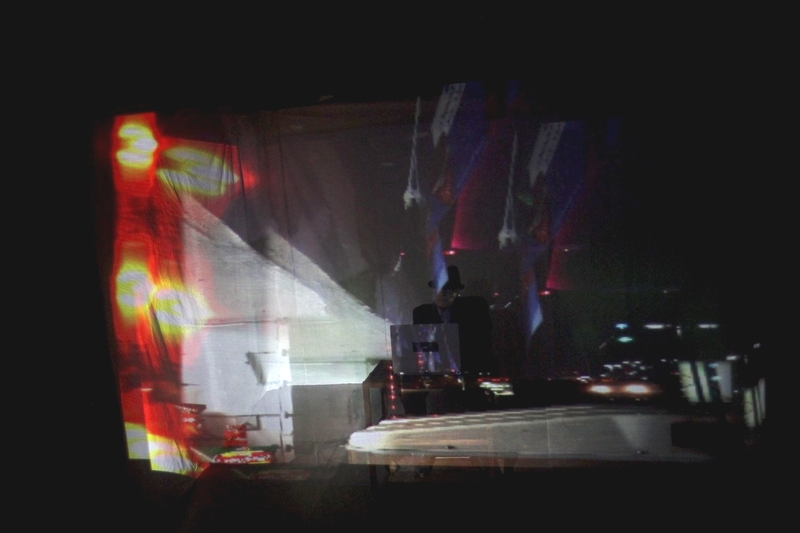 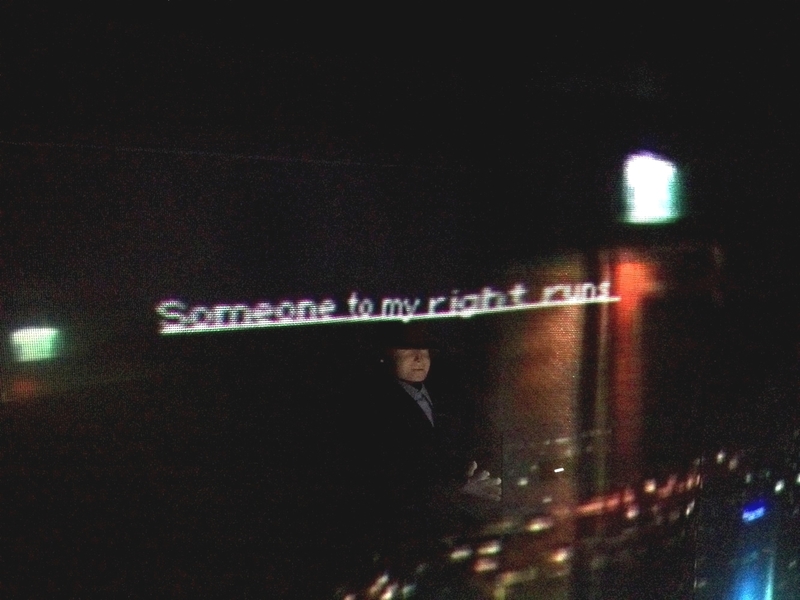 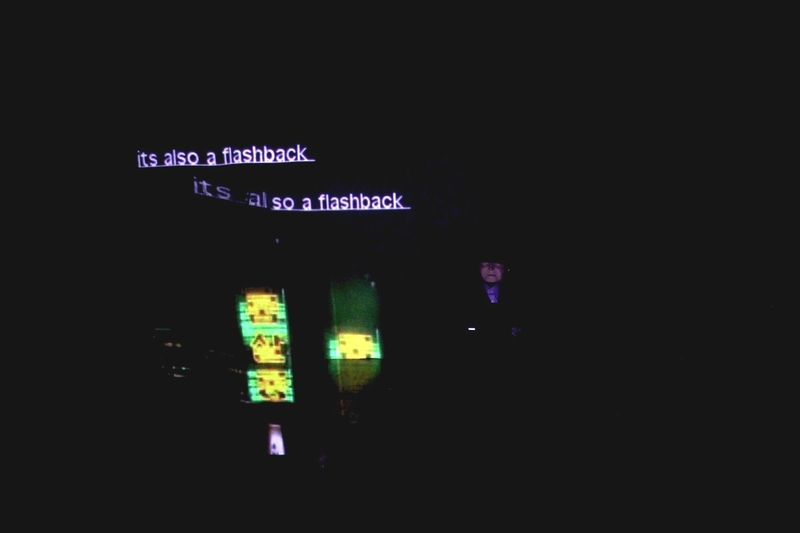 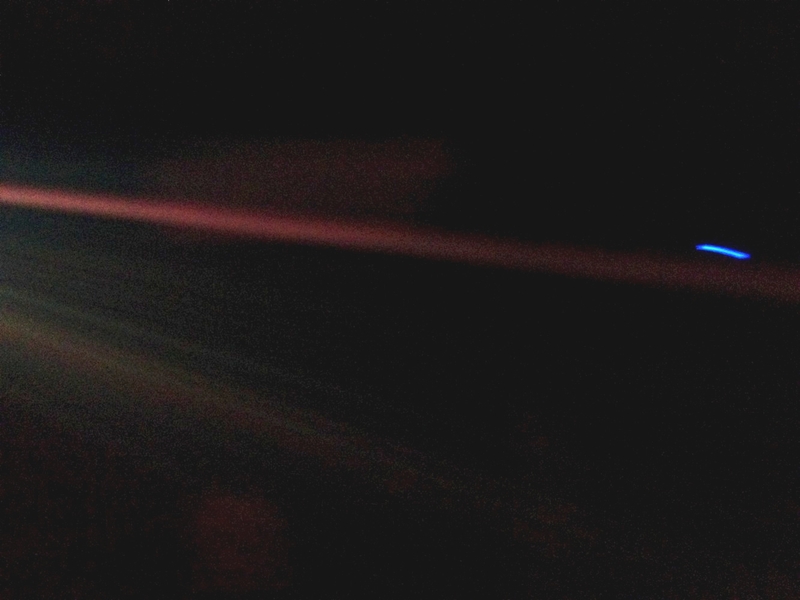 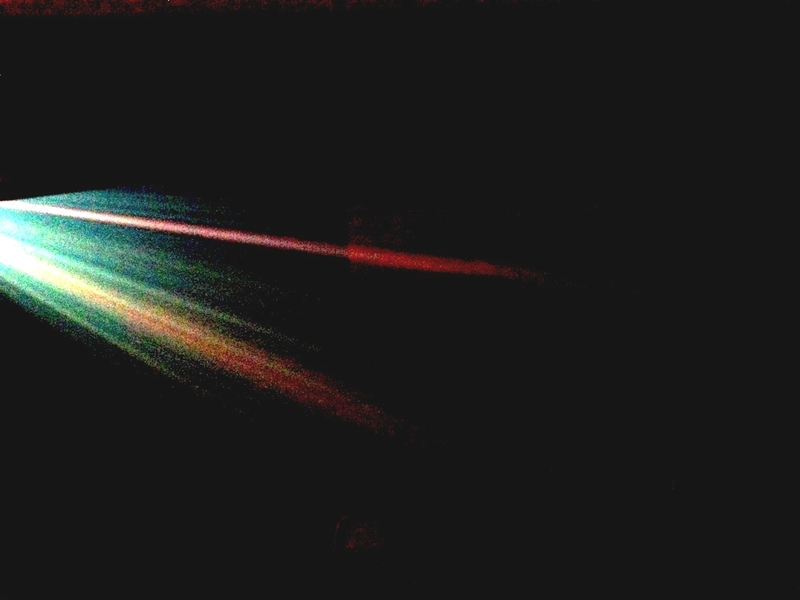 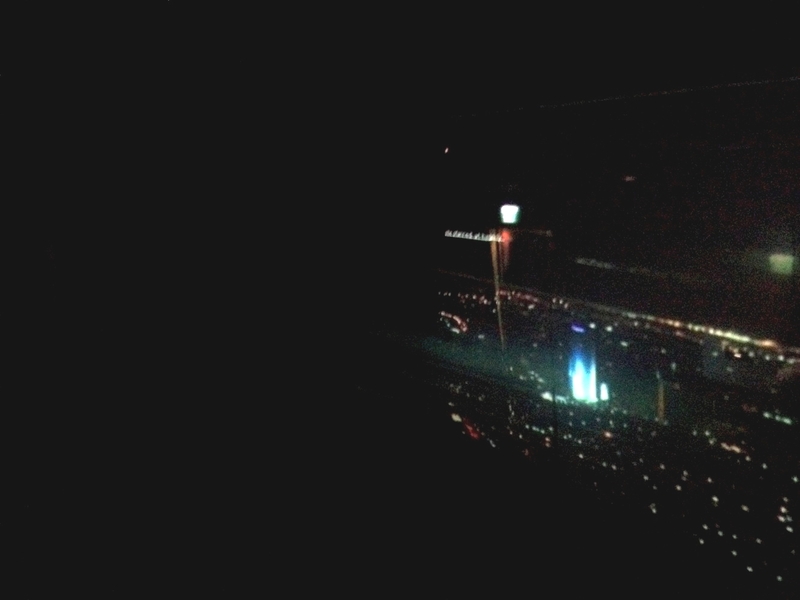 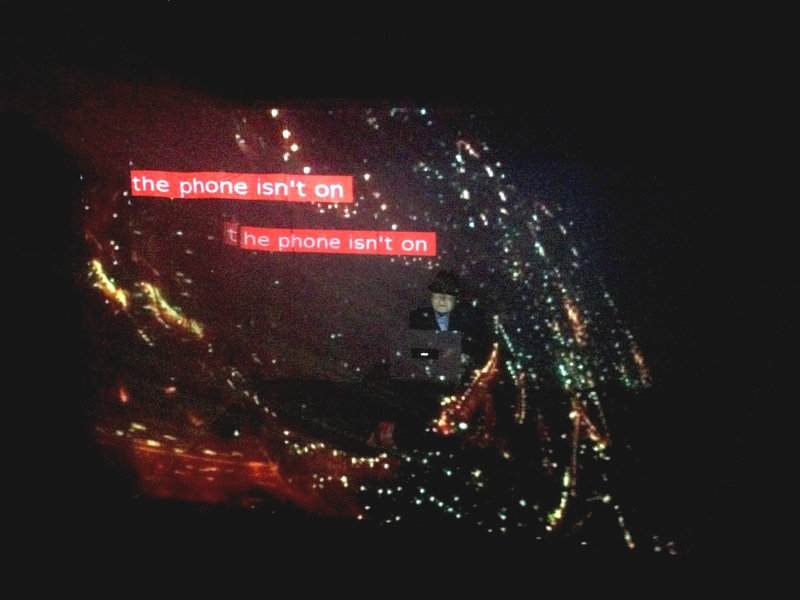 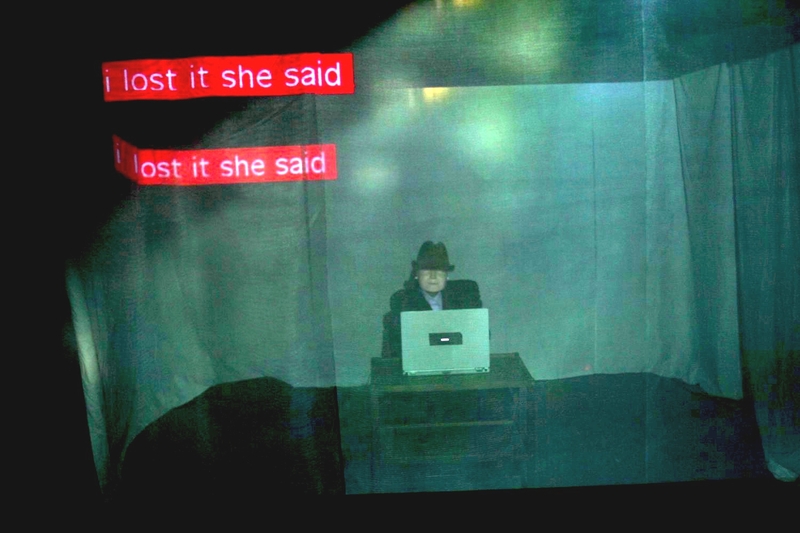 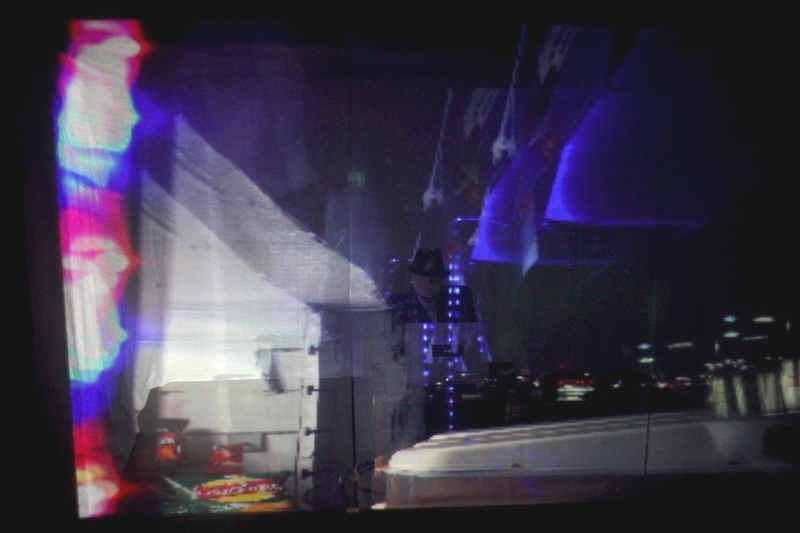 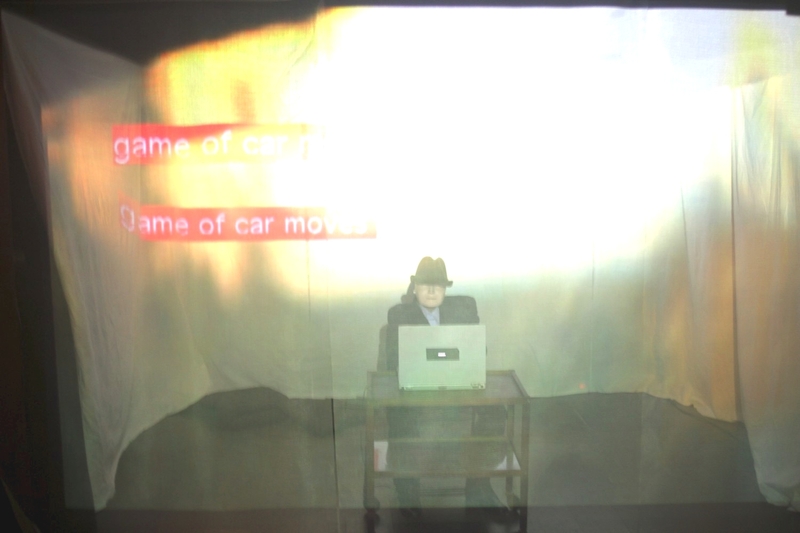 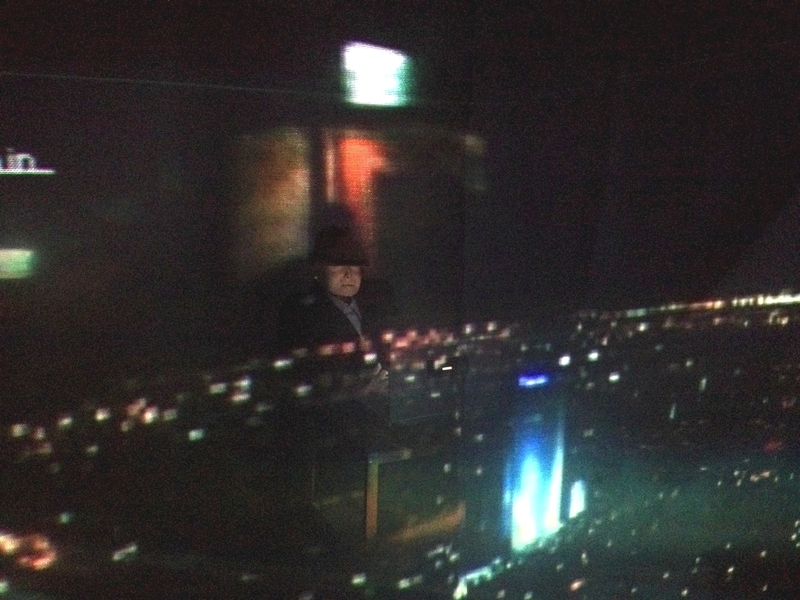 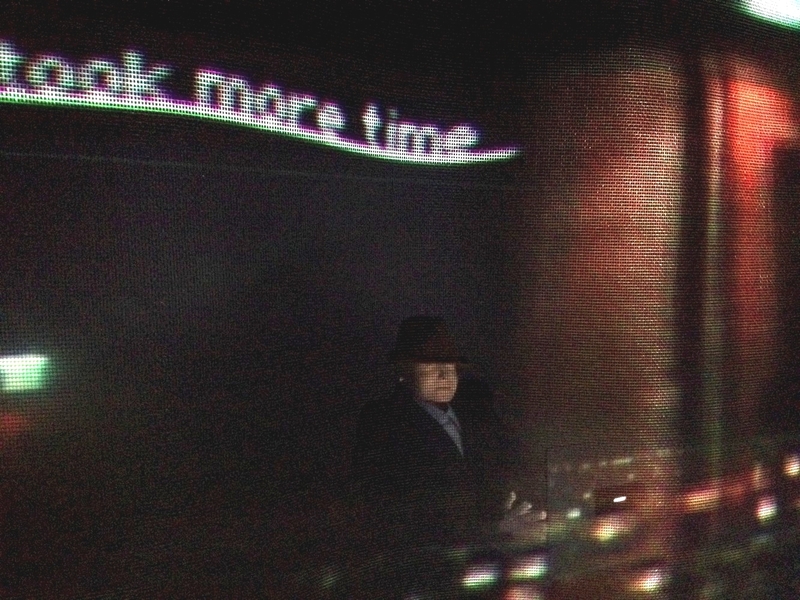 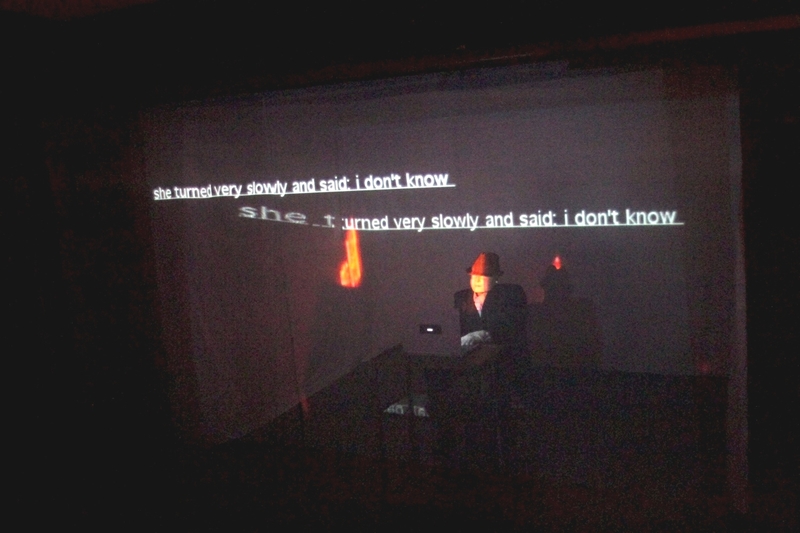 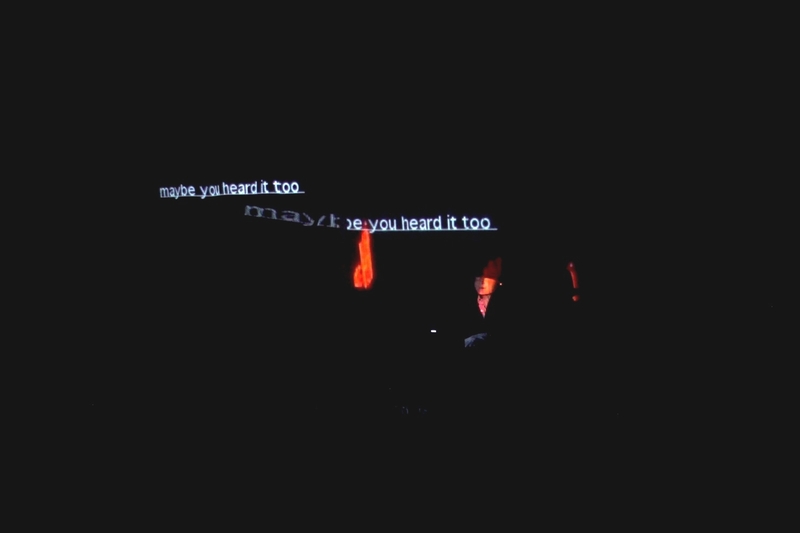 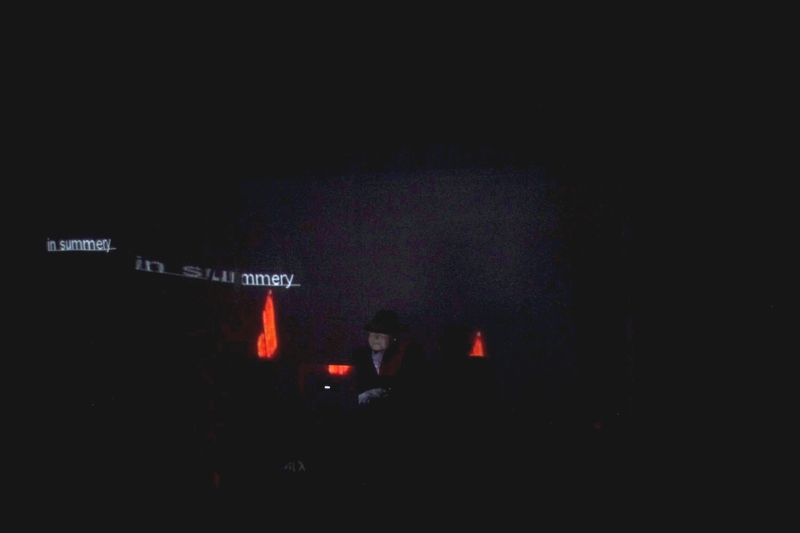 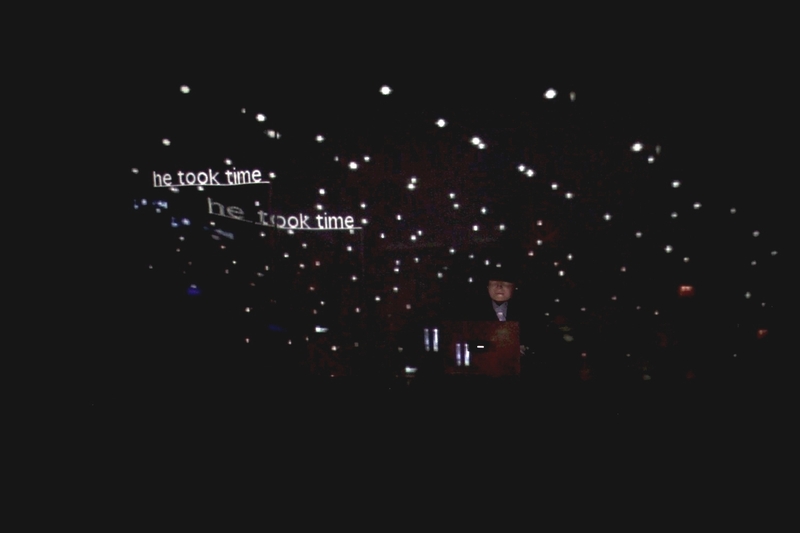 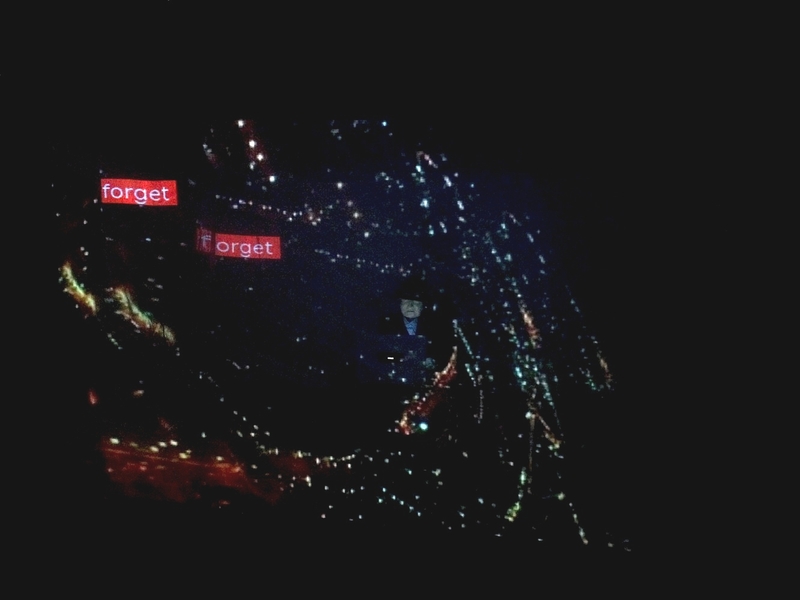 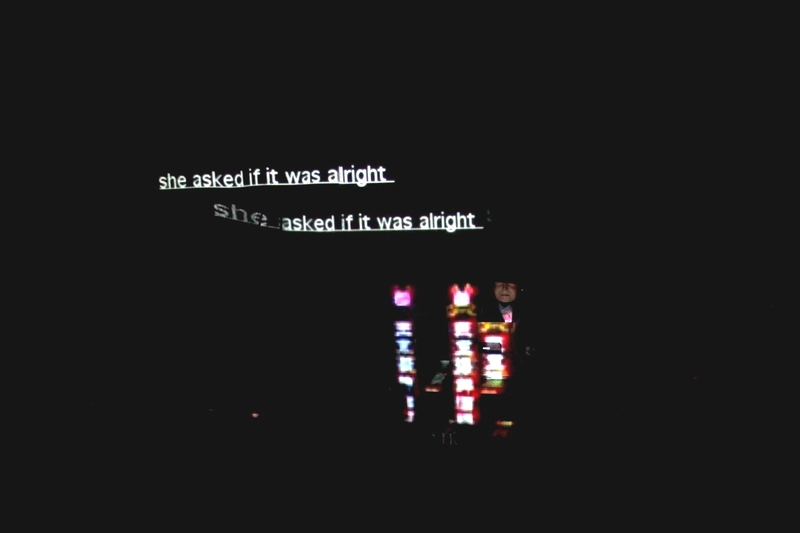 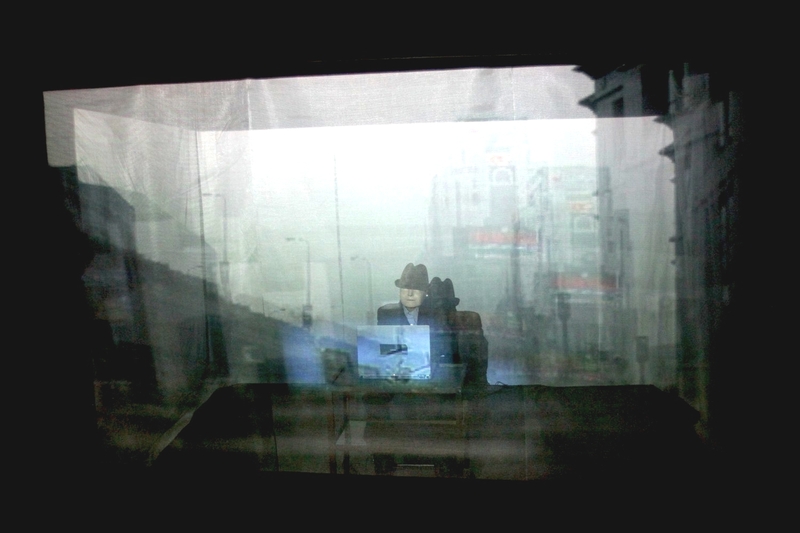 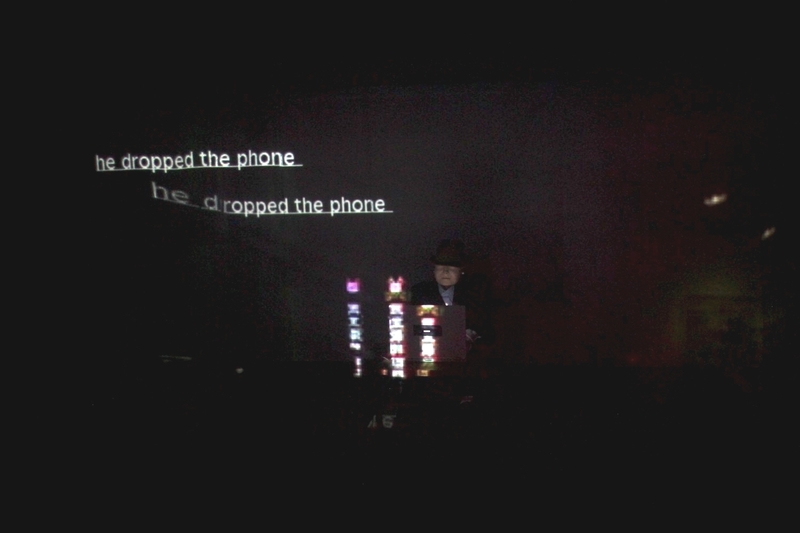 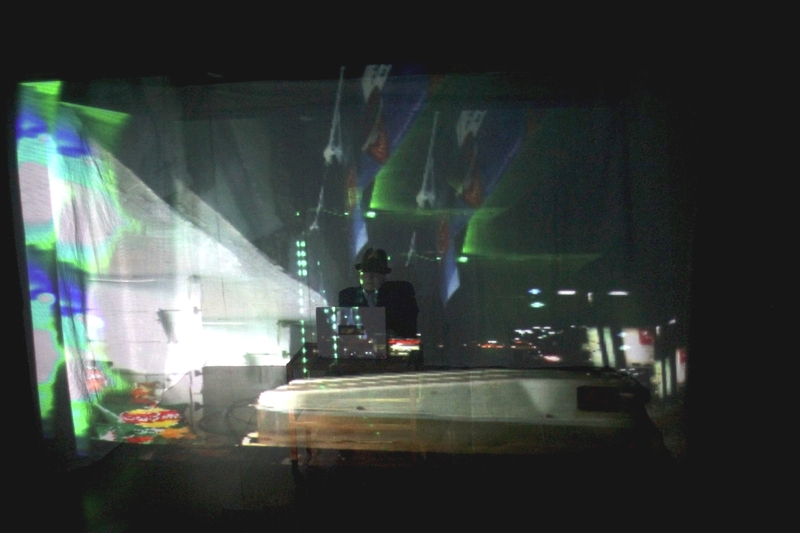 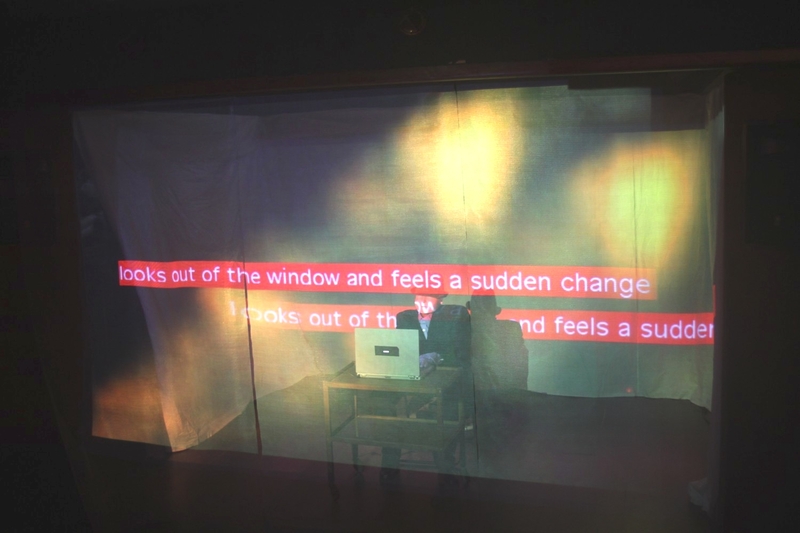 Surrounded by video on 3 walls and a transparent foreground surface. 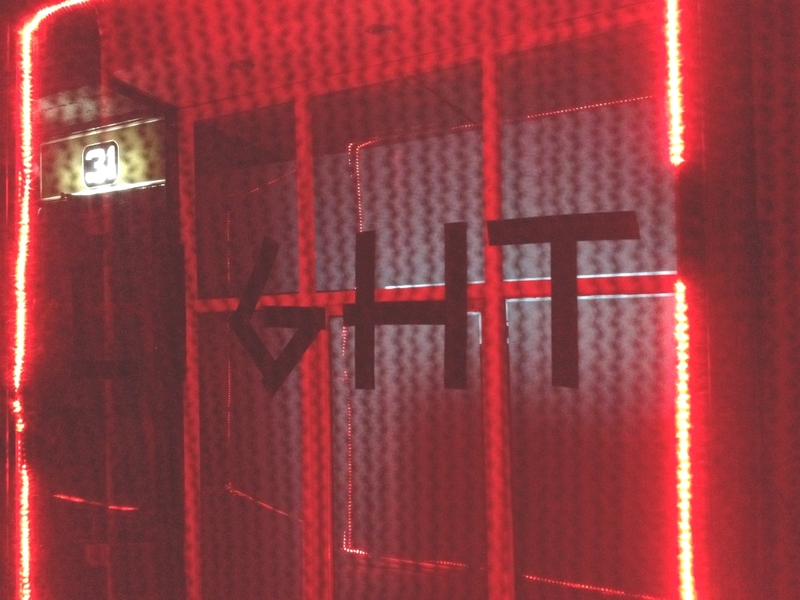 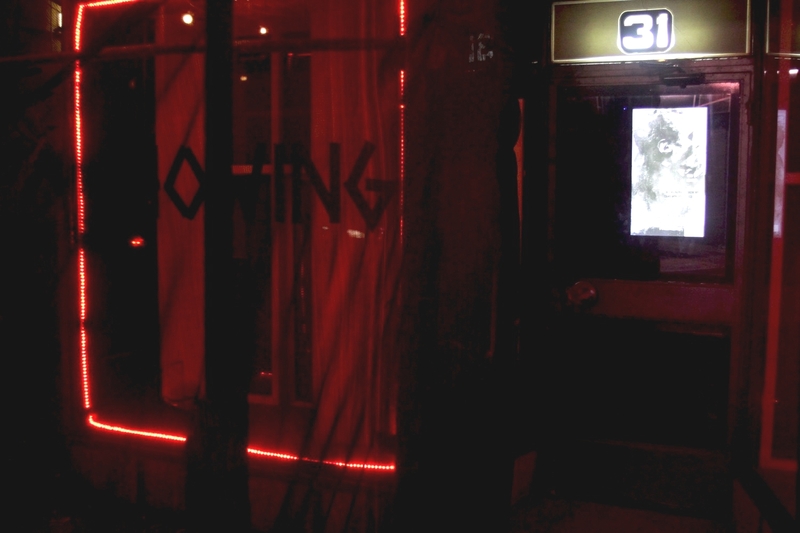 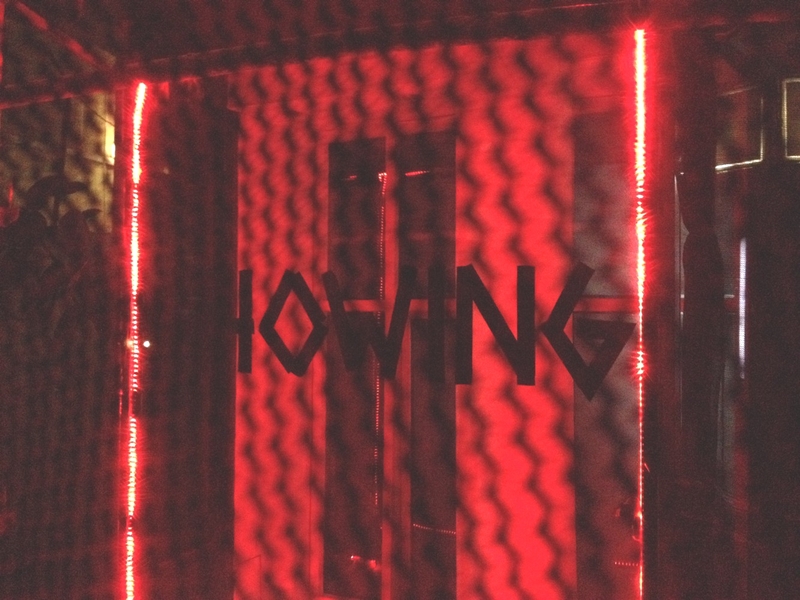 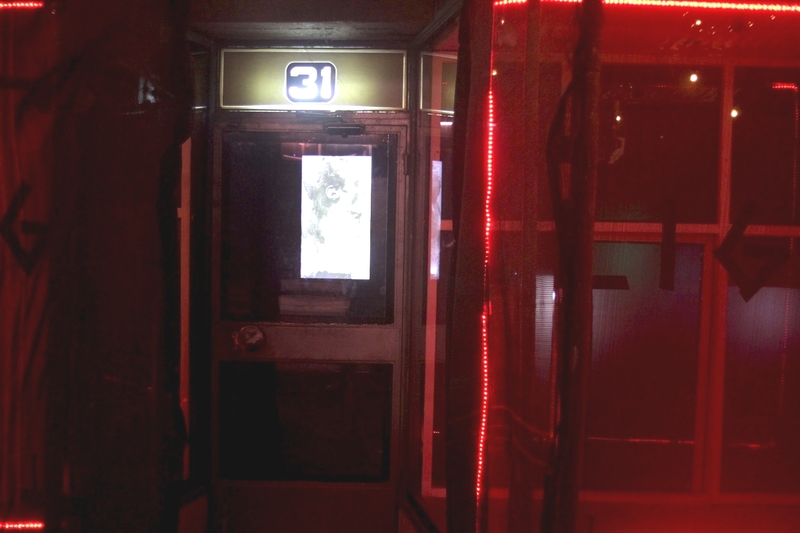 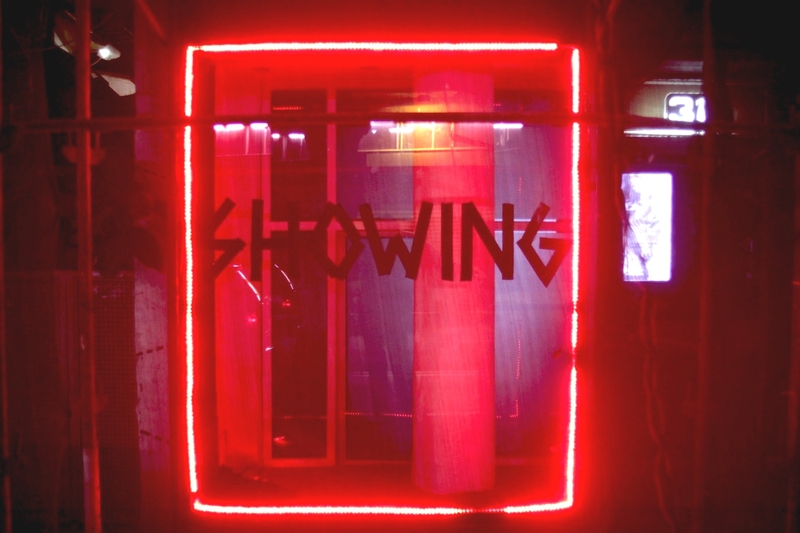 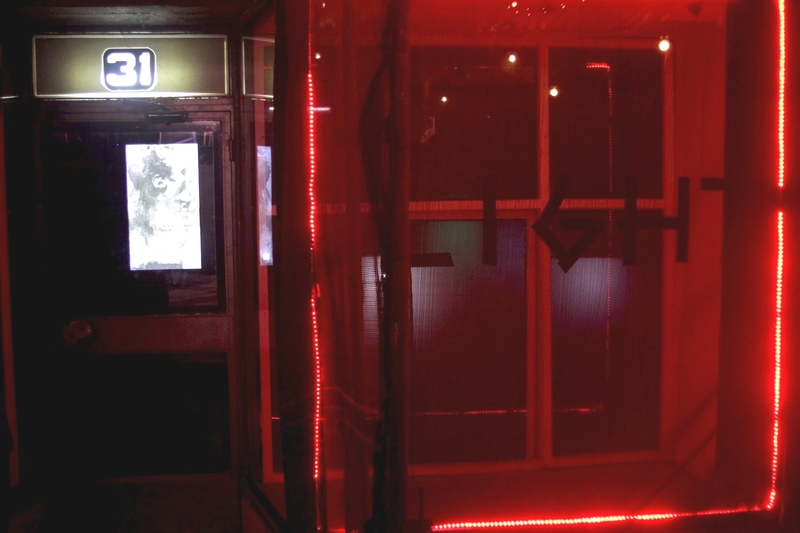 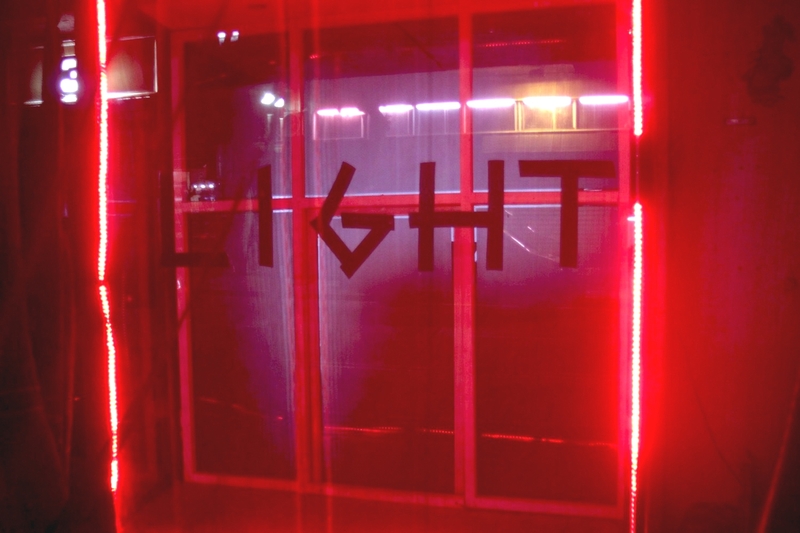 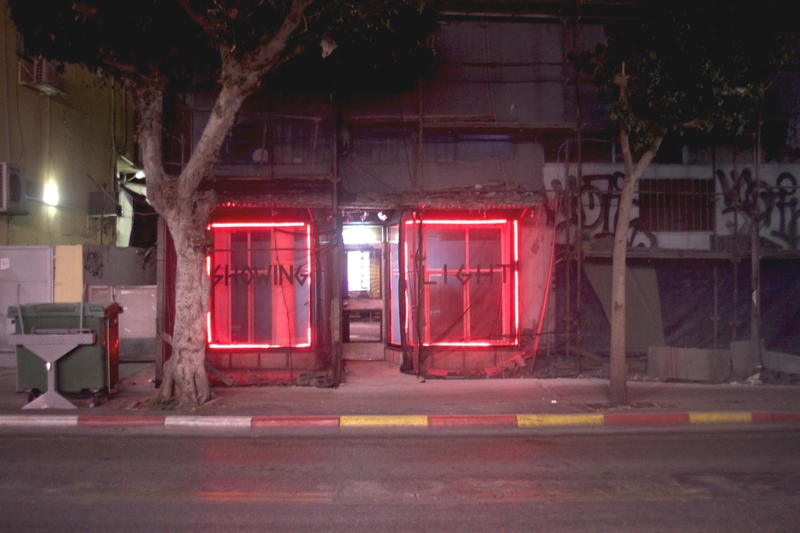 The venue is a small store in Haaliya st Tel Aviv and the window facing the street was tampered with red led light and window text.